The new 650-square-foot store will feature a signature K Banana vending machine wall displaying 150 different types of K-beauty face masks from brands like Dr. Jart, Knours, and A'Pieu. The interior features playful, hand-painted murals by local artist Jesse Brown to complement the beautiful, custom fixtures created by designer Austin Hicks. 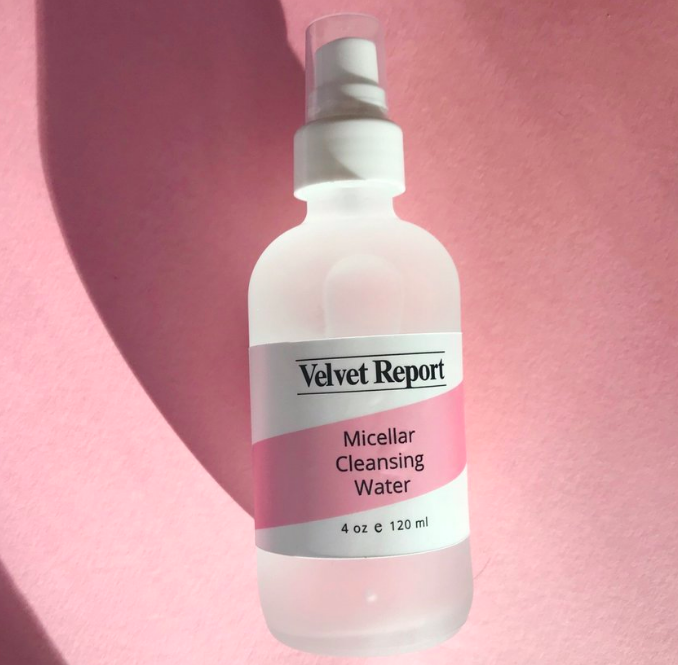 “Korean beauty products are known for their bright colors and whimsical packaging, so we designed a unique, immersive experience to complement that feeling,” says Yates. The new store will also include a BIY (Beauty It Yourself) gifting station featuring travel-size, K- Beauty products, accessories, and candy to curate personalized gifts. In addition to bringing back cult favorites from brands like Too Cool for School and IPKN, K Banana will also add new products to the assortment including face masks from Helloganic and make-up by Peripera. The store will also be one of the first in the U.S. to carry products from BTS, the new make-up and skincare line from the K-Pop boy band sensation. 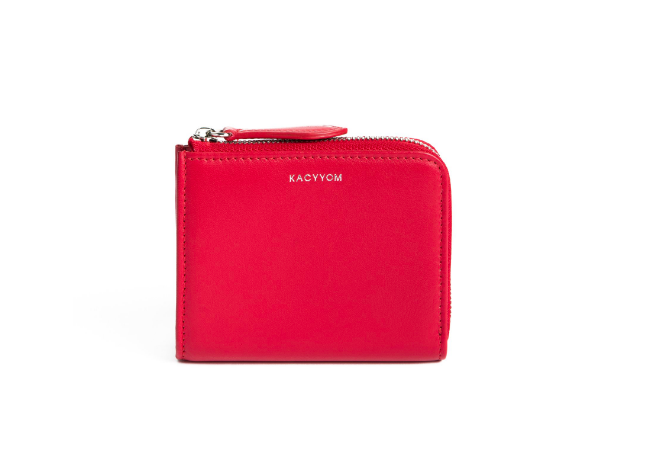 To coincide with the launch of the new space, K Banana has also unveiled a fresh e-commerce website featuring many of the shop’s best selling products including skincare, makeup, beauty tools, and hair accessories. The online store has many of the shop’s offerings, though some items are exclusive to the brick-and-mortar. Shop online at www.hellokbanana.com. Doors open to the public on Sunday, May 12 at 11 a.m. just in time for Mother’s Day. To celebrate the grand opening, K Banana will offer a special gift with any purchase, while supplies last. The new store is located at University Village at 2621 NE Village Lane Seattle, WA 98105. Founded in August of 2018, K Banana is a Korean-inspired shop featuring the latest K-beauty skincare, makeup, and fashion accessories. For brand updates and in-store events, visit the K Banana website (hellokbanana.com) and follow on Instagram @HelloKBanana. 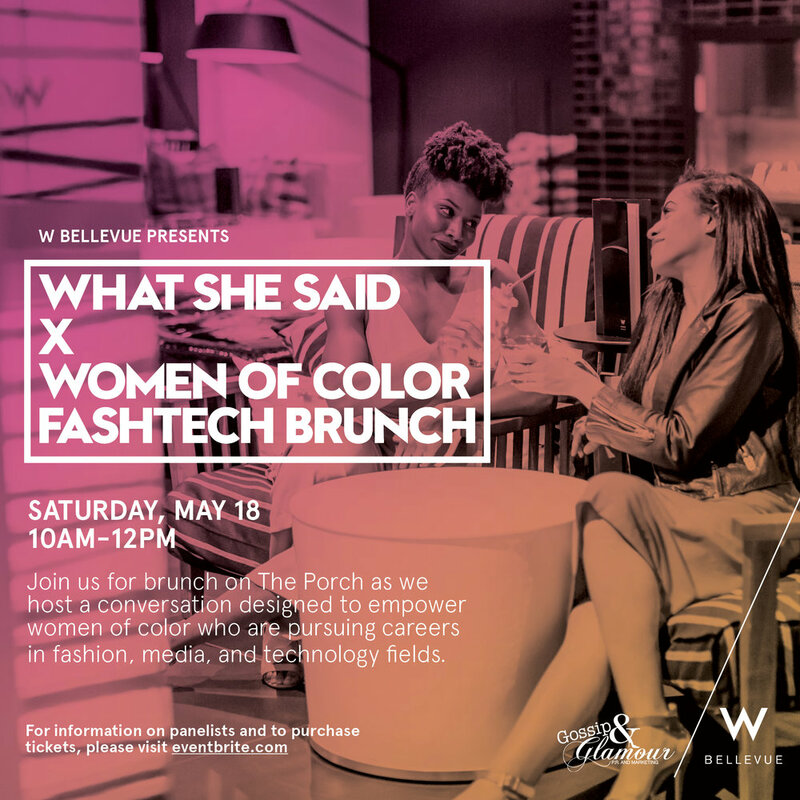 Join W Bellevue for a special WHAT SHE SAID brunch on Saturday, May 18th featuring Brittany Hicks and Jessica Couch, co-founders of the Women of Color FashTech Brunch series. 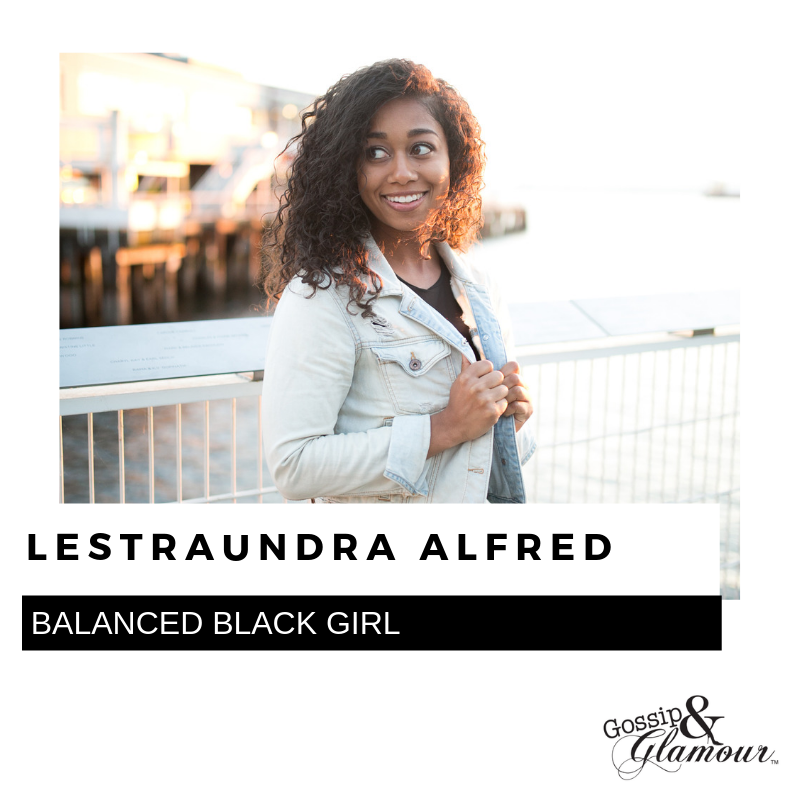 The event is designed to empower women of color who are working in fashion, technology, and media fields, by providing an inclusive platform to connect and share ideas. The brunch will bring together innovators, entrepreneurs, influencers, and trailblazers for an intimate panel discussion followed by brunch, networking, and curated brand activations. After successful events in New York and Austin, this event is finally coming to Seattle! 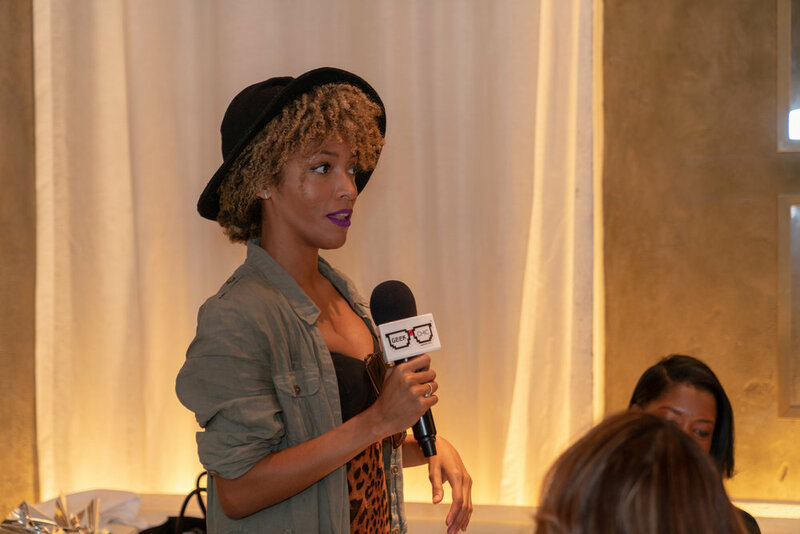 Don’t miss your chance to experience the Women of Color FashTech Brunch as part of the W Hotels WHAT SHE SAID event series. 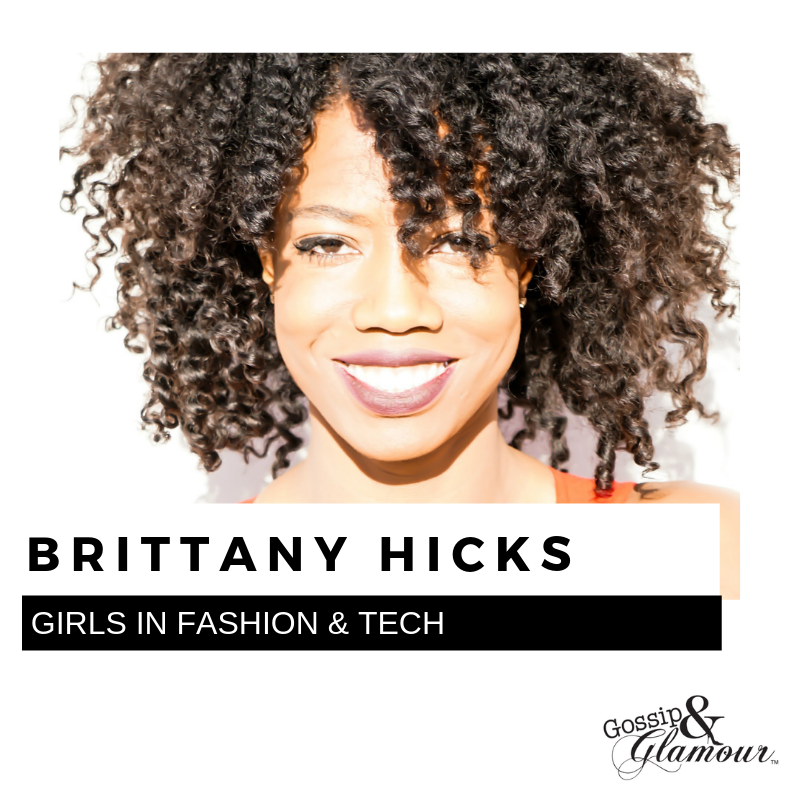 Panelists for the May 18th event include Brittany Hicks of Girls in Fashion & Tech, Jessica Couch of Luxor & Finch Consulting, Amy Newton of Amazon Fashion, and Brandy Brown of Marabou Design. 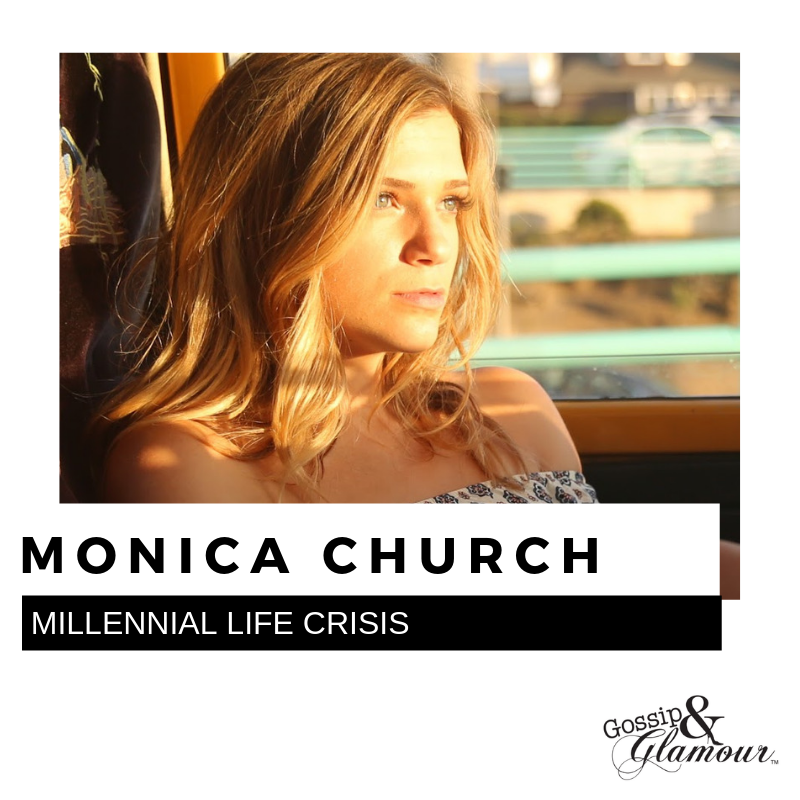 The discussion will be moderated by Sydney Mintle of Gossip & Glamour. 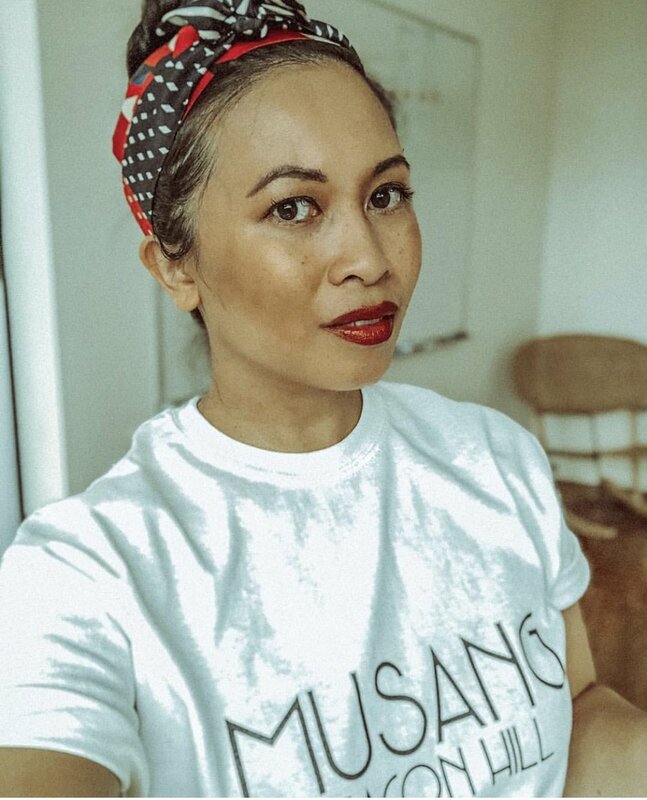 In Episode 10 of the Gossip & Glamour podcast, meet designer Elisa Yip and learn how she worked her way up through the fashion industry from very humble beginnings. Elisa shares the lessons she learned along the way and talks about what it’s really like juggling a family, a style blog, and her job as a knitwear designer. In Episode 9 of the Gossip & Glamour podcast, we sit down with Malika Siddiq of Lika Love and learn how she pivoted from the restaurant industry to working in the fast paced world of fashion. Malika now has 3 retail locations, an e-commerce site, and a fashion truck. Listen now to learn what she has on her radar for spring 2019. The majority of clothing available today is made unethically, worn briefly, and discarded in a landfill when trends change. How can we create fashionable clothing in an ethical way? How can we design and develop products that are produced in a way that isn't harmful to the planet? 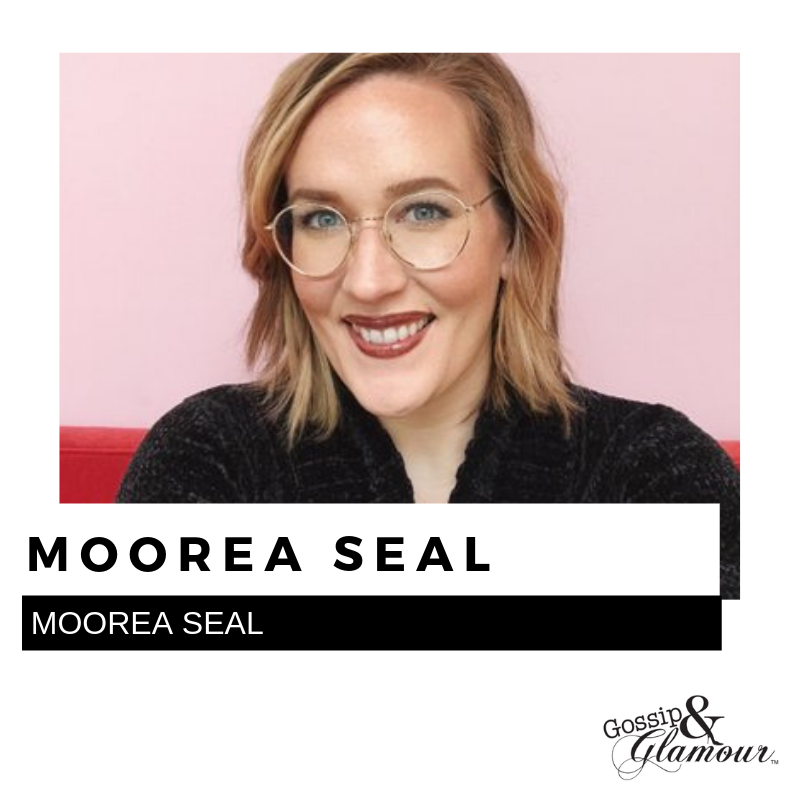 Join MOHAI for a panel conversation moderated by Sydney Mintle of Gossip & Glamour, featuring local innovators who are redesigning the future of fashion production. Learn how Prairie Underground ecologically and ethically produces slow fashion with Davora Lindner, and dive into the potential created by a circular economy with designer Kamal Patel. Together we will imagine a future of sustainable fashion. Tickets: $10 available via MOHAI. Click here. The countdown is on to the 4th annual Gossip & Glamour Style Summit at MOHAI. 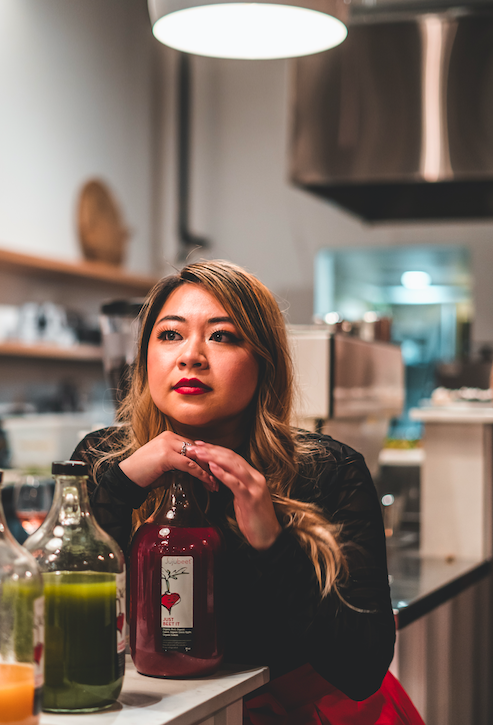 The much anticipated event brings together the Seattle style blogging community alongside local fashion brands, industry professionals, and style enthusiasts. This year’s event is designed to celebrate Seattle fashion and spotlight Seattle’s rich fashion history which will be on display at MOHAI in the Seattle Style: Fashion/Function exhibit. The event includes an exhibit overview by curator Clara Berg, panel discussions on Fashion Blogging and the Future of Fashion, plus a special panel focusing on mental health for creatives. 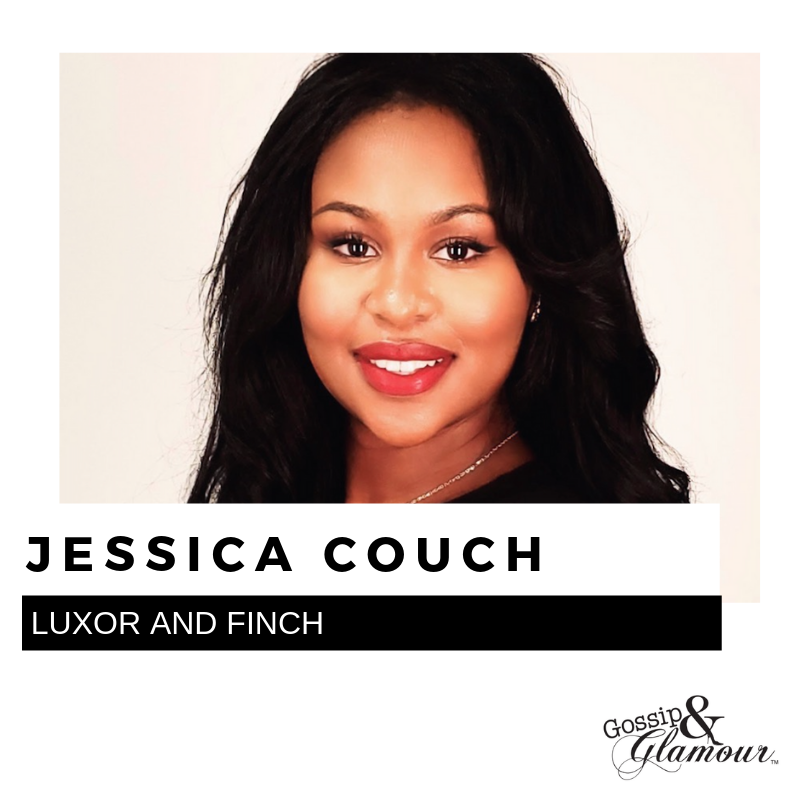 Featured speakers include Youtuber Monica Church, retailer Moorea Seal, marketing expert Karla Melgarejo, and the power duo behind the Women of Color FashTech bunch, Jessica Couch and Brittany Hicks. Tickets start at $50 for half-day access and go up to $100 for full-day access. A full line-up of speakers including bio info, click here. Amour Vert is excited to announce the opening of its first storefront in Seattle! The Pacific Northwest is currently the 5th largest market for the brand and opening a store in the market was a natural next step for the company. Amour Vert has partnered with Gossip & Glamour for a private grand opening party scheduled for Thursday, April 25th from 7-9 p.m. 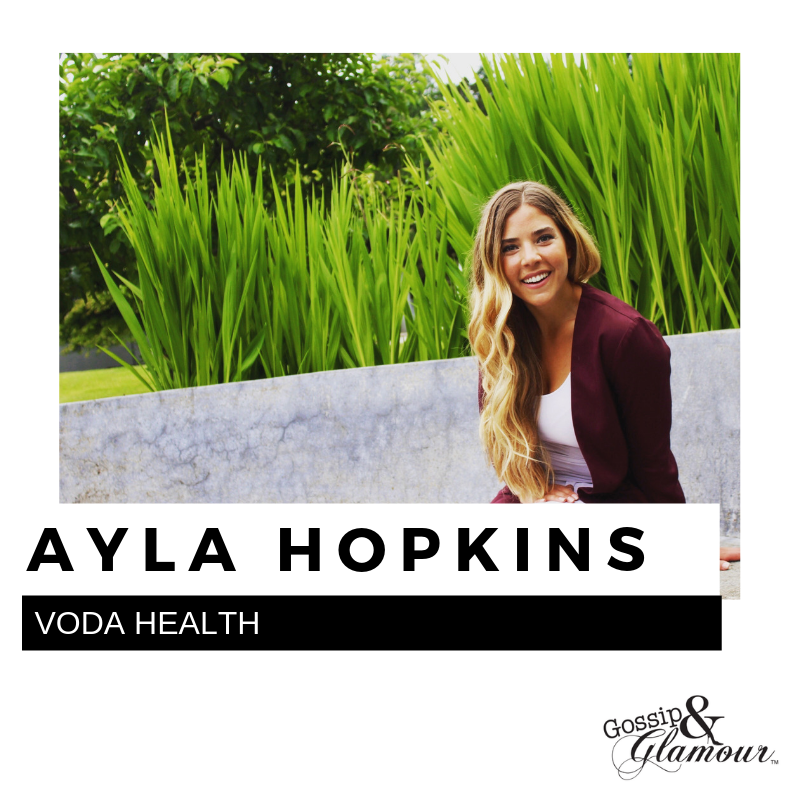 The event will include an exclusive first look at the store, interview opportunities with company executives, light bites from local restaurants, and brand activations by French Girl Organics. Doors to the new store will be open to the public at 9:30 a.m. on Friday, April 26th. Amour Vert currently operates 7 stores in the US and plans to open 6 additional stores this year, with Seattle being the first for 2019. After seeing great success engaging with cities outside of their headquarters in California, the brand plans to build a consumer base in strong geographic locations fitting the eco-friendly aesthetic including Denver, New York, San Diego, and Austin. *Located next door to glassybaby. 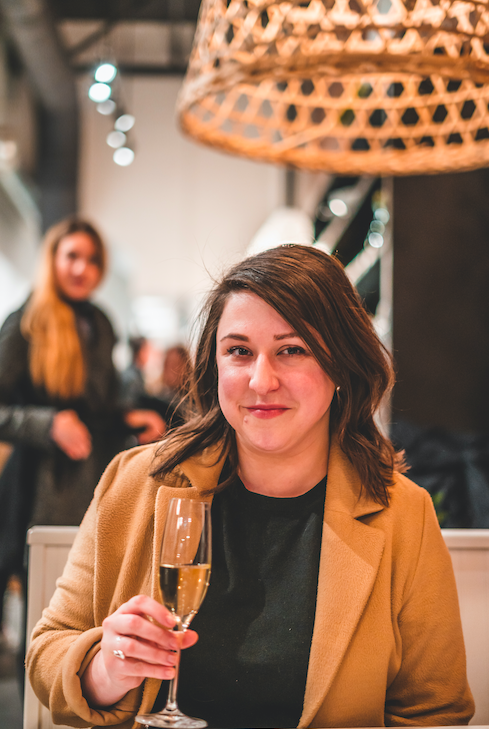 In Episode 8 of the Gossip & Glamour podcast, we sit down with freelance writer and travel expert Amanda Zurita to learn more about her career trajectory including what her time was like working as Style Editor for Seattle Met and how she turned a summer internship with Rick Steves into a flexible job that lets her travel the world and get paid. She also shares some exciting news about a new creative venture she’s launching this year! 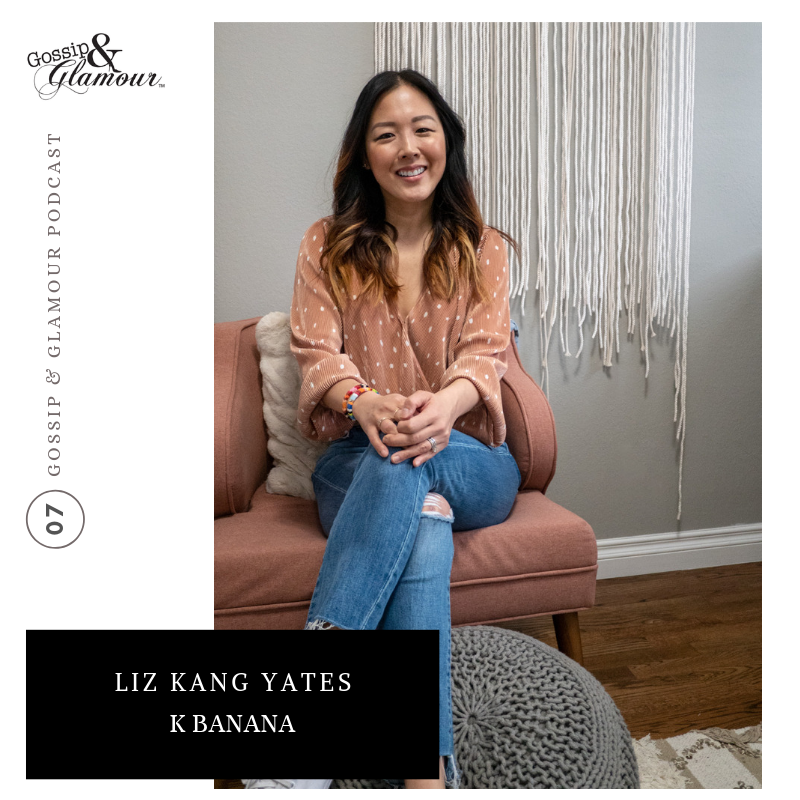 In Episode 7 of the Gossip & Glamour podcast, K Banana founder Liz Kang Yates talks about her journey from working in the world of finance to becoming a buyer at Zumiez, moving to Portland to work for Adidas, branching into sales as a rep for Vans, and ultimately, opening her own k-beauty store at University Village. Liz also shares the importance of building relationships and discusses the importance of being happy wherever you are. Seattle, WA - This spring Seattle’s Museum of History & Industry (MOHAI) presents Seattle Style: Fashion/Function featuring garments and accessories from the museum’s collection, influenced by popular culture and revealing captivating stories about the city’s sartorial spirit. 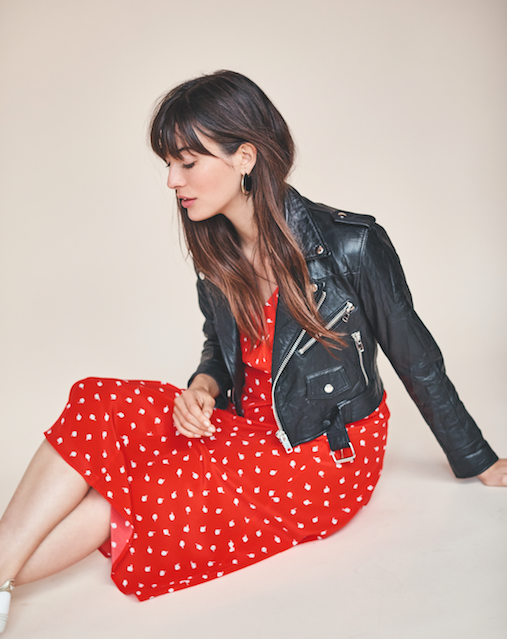 Presented by Nordstrom, this exciting exhibit, on view at MOHAI from May 4 - Oct. 14, 2019 will highlight how elegance and practicality co-existed and converged in Seattle wardrobes, providing new insights into local clothing, ranging from couture to grunge and street fashion. Alone, few of these ingredients are unique to Seattle. But woven together, a distinct local story emerges. No single style defines this region. Instead, when we look at the clothing made and worn here, enduring themes emerge: influences of the weather, ambition, a casual nature, and a spirit of people forging a new path. “I am delighted the Museum of History & Industry is presenting this stunning collection as we share a fascinating and influential period in Seattle fashion history.” said MOHAI’s Executive Director Leonard Garfield. Curated by MOHAI’s Collection Specialist for Costumes and Textiles Clara Berg, the exhibit explores the distinct sensibility of Seattle fashion and its sense of beauty embodied in clothing. Bringing together rarely seen garments and accessories from the mid-1800s to today, the exhibit also includes three “Sewn in Seattle” videos featuring brands like Filson, and historical footage from fashion shows in the city. The first thematic section, Nature and Place, explores the influence of the natural surroundings. Dressing for our environment is a way of life in Seattle. Rain falls 150 days per year on average, and outdoor adventure always feels steps away. Water surrounds Seattle on the east and west. Snowcapped mountains are within sight of downtown, and green spaces can be found throughout the city. Here, people balance a city lifestyle with an outdoor one. Seattle’s clothing - items made or worn here - demonstrates the influences of the natural surroundings. From the hardiest of gear to an elegant evening coat, materials and designs show a combination of functional and stylish elements. Seattle’s passion for blending weather-tested pieces with visual impact continues with traditional materials, as well as new ones like waxed cotton, Gore-Tex, and vinyl. The second section is Growth and Aspiration. When Seattle was a frontier town - little more than wood structures and muddy streets - pioneer residents imagined its future as a sophisticated, global city. The first name for the settlement was even “New York Alki”, alki meaning “by and by” or “in the future” in local trade language of Chinook Jargon. Becoming a city has meant times of rapid growth and huge change - the two seem to have become part of Seattle’s DNA. Since it’s earliest days, Seattle has had a connection to fashion. As it started to grow into a bustling city, some Seattleites looked to fashion - the presence of and access to it - as a measure of cosmopolitan success. Especially in the first half of the 20th century, it was commonly understood that the most fashionable items came from afar. Thanks in part to giants like Microsoft and Amazon, the 21st-century tech boom is pushing Seattle’s population to new limits. This kind of growth shapes the population and its needs, which in turn influence local stores and companies by drawing a population of talent. In the next section, Northwest Casual is considered. It is no secret that when it comes to style, Seattle leans casual. It started in the days when harsh frontier life led to loosened norms and has endured as a hallmark of a West Coast style of living. After the late 1960's, the idea that fashion is an indication of success started to fade and for some, fashion was frivolous. A local preference for the informal paved the way for Seattle’s casualwear industry to thrive in the late 20th century. The city’s industry has seen ups and downs, but a love of casual holds steady. The definition of what clothes are considered acceptable for day-to-day wear changes over time. Like elsewhere on the West Coast, Seattle has been at the forefront of an increasingly casual style of American dress. As the demand for informal clothing grew in the mid-century, a distinct network of Seattle garment factories grew too. And later in the century, it was Seattle’s turn to export some of the hottest trends of the day. Local brands boomed. But this later wave of companies made clothes exclusively overseas. Today, companies remain, though the presence of garment factories has noticeably faded. Designs originally intended for sports or at-home wear have gradually become acceptable for other occasions. As MOHAI’s collection shows, materials and cuts reflect intended use, but style is never forgotten. The final section focuses on Innovators and Rule Breakers. Throughout Seattle’s clothing history, people have recognized needs and created solutions for themselves and others. Some solutions have been inspired by technical needs, others by an artistic vision that counters the city’s casual norms, and others by a creator’s beliefs or identities. After all, what people wear can be key to their self-expression. These garments combined all of Seattle’s enduring clothing influences- natural surroundings, aspiration for something greater, and affinity for the informal - together with an innovative and rule-breaking spirit. In every case, they contribute to the variety and diversity found in Seattle’s styles. 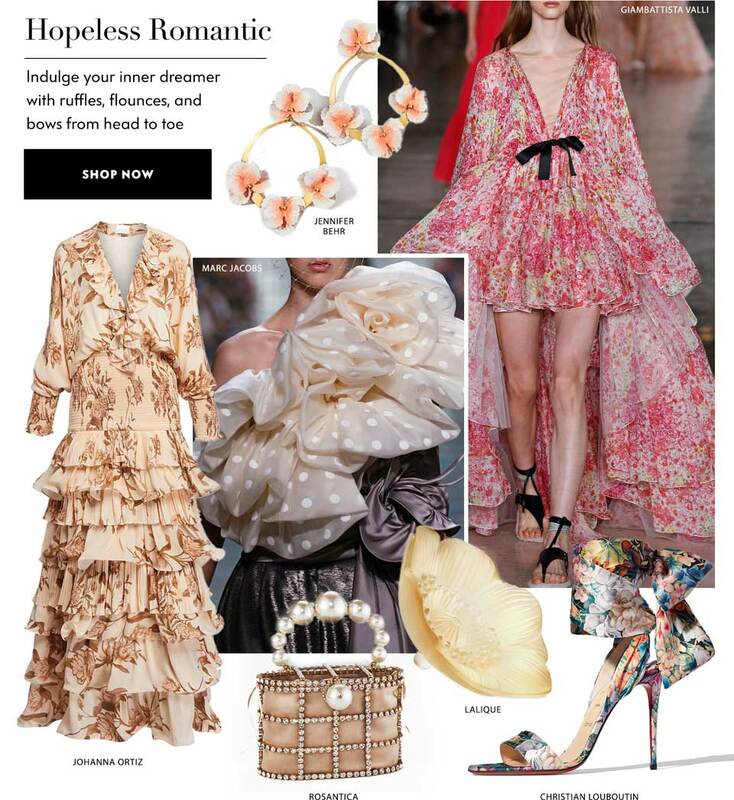 This section includes designers with a glamorous vision that defies Seattle’s informal attitude with gowns from Luly Yang, Mark Mitchell, and Howard Blair. Sometimes, groups or individuals have a belief or identify not represented in mainstream clothing styles and so create something that does. The resulting garments reveal and celebrate creativity, ingenuity, and diversity of the individuals who make up the region. There is no fashion moment more associated with Seattle than grunge. The look had ingredients of pink style, local workwear, gender-flexibility, and chilly weather practicality, all rolled together with an anti-establishment attitude. Thrift stores were the go-to place for the grunge look. Thrift shopping saved money, but it was also a way to reject flashy 1980s mainstream fashion. Plaid flannels- the workwear of Pacific Northwest timber workers - and worn jeans were plentiful. To keep warm, long johns were added as a visible layer. Initially the style of losers and misfits, the grunge look ended up becoming the height of cool. 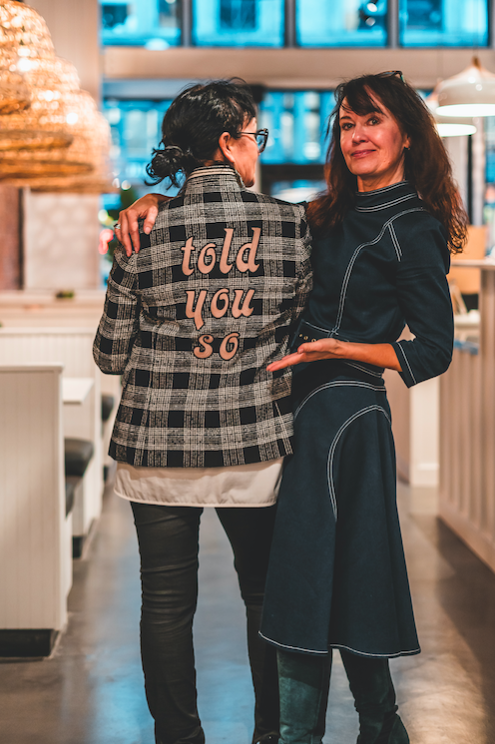 For outdoor adventurers keenly aware that the right clothing can be a lifeline to fashion devotees going great lengths to bring chic treasures back home, to those who want to change narratives around what we wear, Seattleites care deeply about fashion. Grunge may be the style most associated with Seattle, but its ingredients - utilitarian needs, casual dressing, and a non-conformist attitude - resonate in many Seattle clothing stories before and since. Seattle Style: Fashion/Function exhibit is organized by Seattle’s Museum of History & Industry and presented by Nordstrom. The exhibit is accompanied by a companion book, written by Clara Berg, with a forward by internationally known Seattle-based fashion designer Luly Yang. The exhibit will also include a variety of fashion related programming and events including an family-friendly opening day celebration on May 4th, a discussion on ethical fashion moderated by Sydney Mintle of Gossip & Glamour on May 8, monthly Behind the Seams programming led by Clara Berg, and a Seattle Style Month happening city-wide in September. Ethical Fashion: Rethinking the Future of an Industry - May 8 at 7 p.m. Behind the Seams: High Fashion Favorites - May 11 - 11 a.m. , 12 p.m. and 2 p.m.
INTRINSIC: SPU Student Designer Fashion Show - May 17 at 7 p.m.
(Re)Fashion: Clothing Repair Fair & Workshop - June 1 at 11 a.m. Behind the Seams: Fashioning the Ideal Body - June 22 at 11 am. , 12 p.m. and 2 p.m.
Cocktails & Clothing: Designing Sustainable Fashion - June 26 at 7 p.m.
Seattle brand andieanderin celebrated International Women’s Day by asking fans to wear their favorite neckties in a show of solidarity for women and girls around the world. The ties turned up all over social media from the Forbes offices in New York to the stages of SXSW in Austin, and even at the empowerHER brunch in Los Angeles. Gossip & Glamour hosted a local #powerlunch in Seattle to kick off the Shop & Dine fundraising weekend for the Ronald McDonald House at U Village while also celebrating a few of our favorite women in business. The theme for this year’s International Women’s Day was #balanceforbetter which served as a call to action to continue to push for complete gender equality. andieanderin also marked the occasion by launching a new “Justice for All” necktie inspired by Ruth Bader Ginsburg. We want to send a BIG thank you to all the women who wore their andieanderin neckties on Friday, March 8th to celebrate International Women’s Day. Let’s keep the conversation going and continue pushing for equality! Jujubeet’s new Pioneer Square location is now open! Located at 107 First Ave. S., the 2,000 square-foot cafe is serving up healthy, plant-based food and fresh juices, seven days a week! 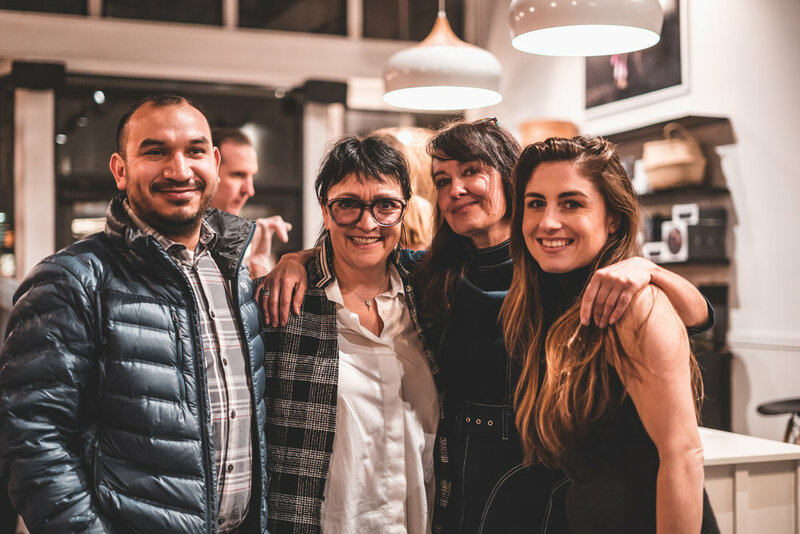 We recently helped to host their grand opening party and welcomed over 70 members of the community for a tasting of the newly developed menu and a first-look at the new space. 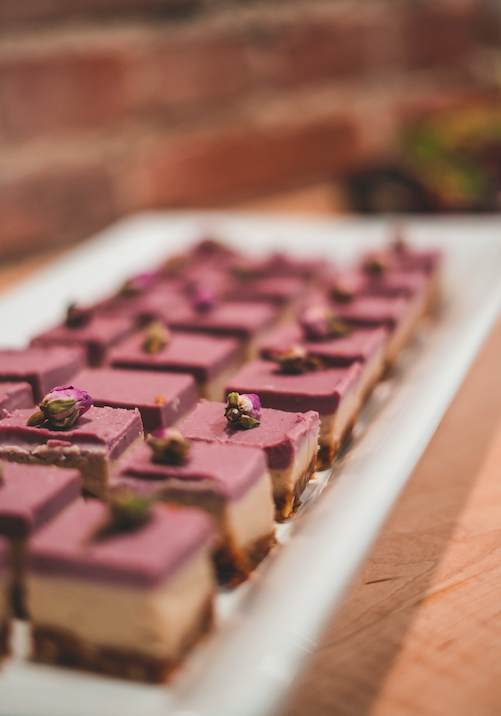 Sponsors of the event included Iggy’s Kombucha, Nuflours, and The Estates Wine Room. Photos by Alejandro Sanchez. Mon. - Fri. : 7 a.m. - 6 p.m. Sat. & Sun. : 9 a.m. - 3 p.m.
To celebrate International Women’s Day on Friday, March 8th, andienaderin is encouraging women to wear their pussybow neckties in a show of solidarity and support for women everywhere. This year’s International Women’s Day theme is Balance for Better which is a collective call to action for driving a gender-balanced world. International Women’s Day is designed to celebrate the social, economic, cultural, and political achievements of women, while also marking a call to action for accelerating gender balance. As Gloria Steinem, world-renowned feminist, journalist and activist once said, "The story of women's struggle for equality belongs to no single feminist nor to any one organization but to the collective efforts of all who care about human rights." 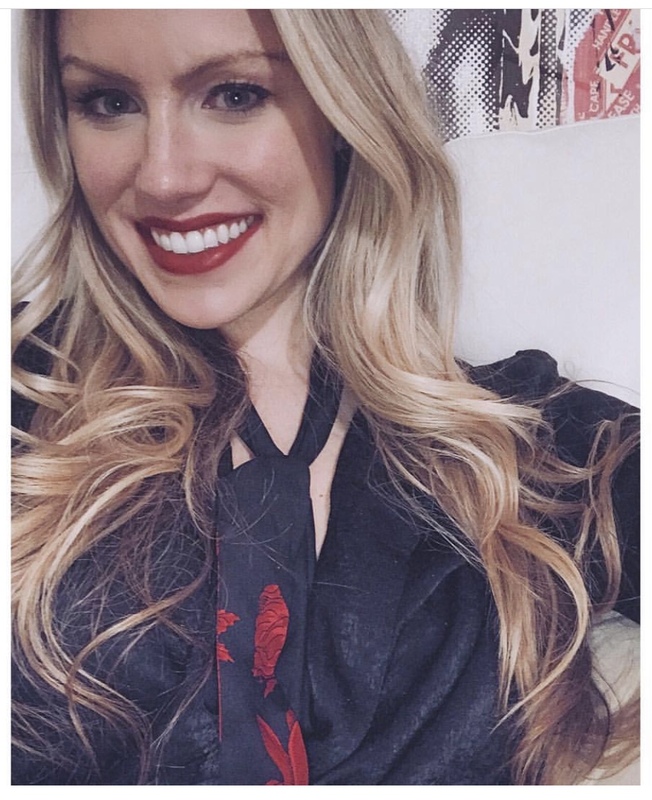 Wear your andieanderin necktie on Friday, March 8th and post your selfie on Instagram tagging @andieanderin. Don’t forget to use the hashtags #BalanceforBetter, #necktietribe, #IWD2019. 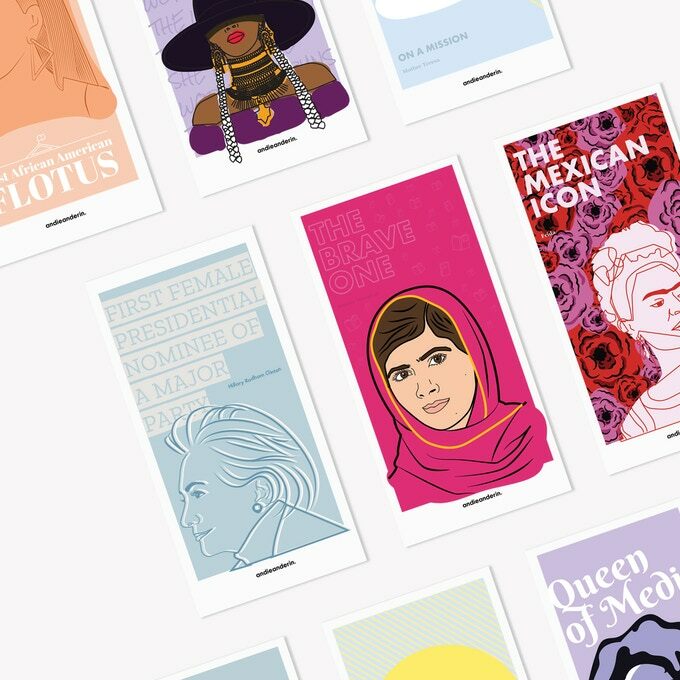 Fun fact: Each andieanderin necktie comes packaged in a beautiful box with a storyboard that highlights the featured woman’s accomplishments. As a working mom, I find that the key to thriving both personally and professionally, is balance. Everything in moderation, right? My favorite way to unplug is to explore the world with my family. My kids are now 4 and 8, and they love to travel. Last year we took some memorable trips to places like Whitefish, Montana and Tokyo, Japan. In this month’s issue of 425 magazine you’ll find our best tips for traveling with kids in tow. Click here to read the full story. Thank you to 425 magazine for featuring us! What mood are you in this spring? How will you mix new pieces for the season in with your existing wardrobe staples? 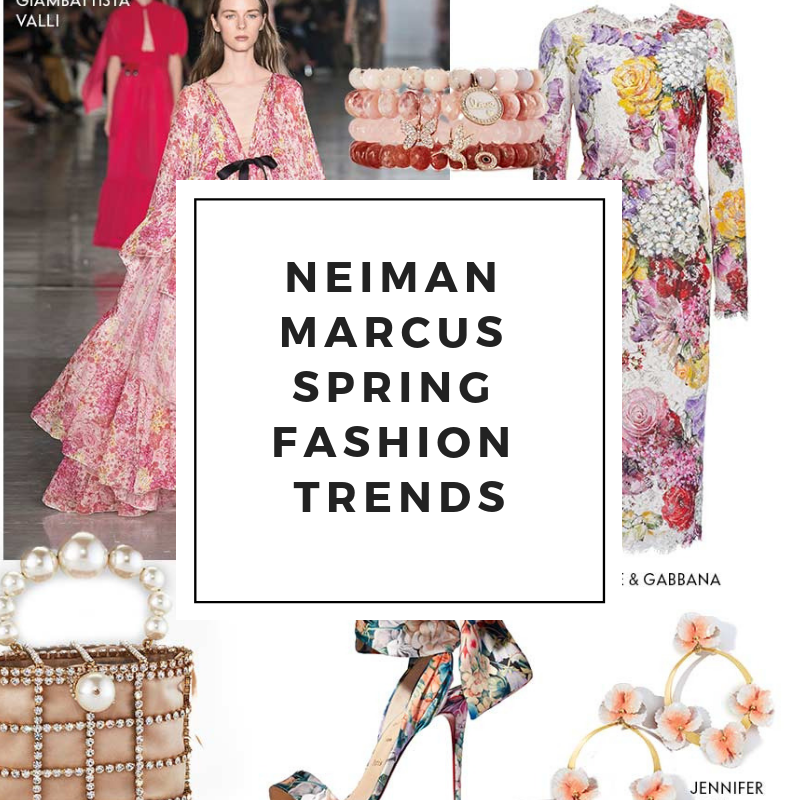 We recently had the chance to host an intimate group of local stylists at Neiman Marcus in Bellevue for a spring style presentation featuring spring “style moods”. Check out this recap written by local style writer Lisa Cole of Vanguard Seattle. If you’re one of the many beauty fans who was sad to see K Ba-Nana’s pop-up at University Village close at the end of January, you’ll be pleased to know that they are coming back to the village later this spring with a permanent retail location! Details are still in the works, but expect to see invites go out for store opening festivities at the end of April. In the meantime, you can get your K-beauty face mask fix on their new website. Want more? Check out this fabulous video recap by Antonio Smith from K Ba-Nana’s Grand Opening event last summer. 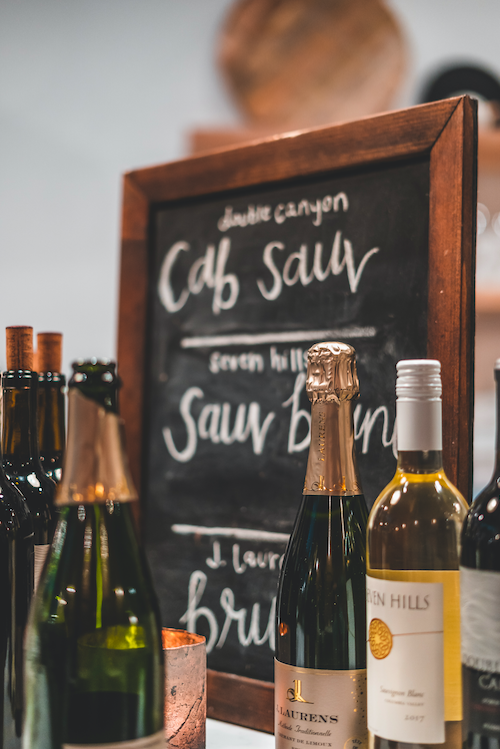 Since 2004, University Village has helped raise more than half a million dollars for charity partners in the Pacific Northwest through its Shop & Dine To Make A Difference events. To purchase a card online click here. Guests can also purchase a Shop & Dine card from any participating retailer or restaurant March 8-10, or pick one up by visiting the U Village kiosk located across from Sole Food. This is a great opportunity to shop for spring must-haves and dine at fabulous restaurants while also supporting a very worthy cause! Proceeds from Shop & Dine cards benefit Ronald McDonald House Charities. 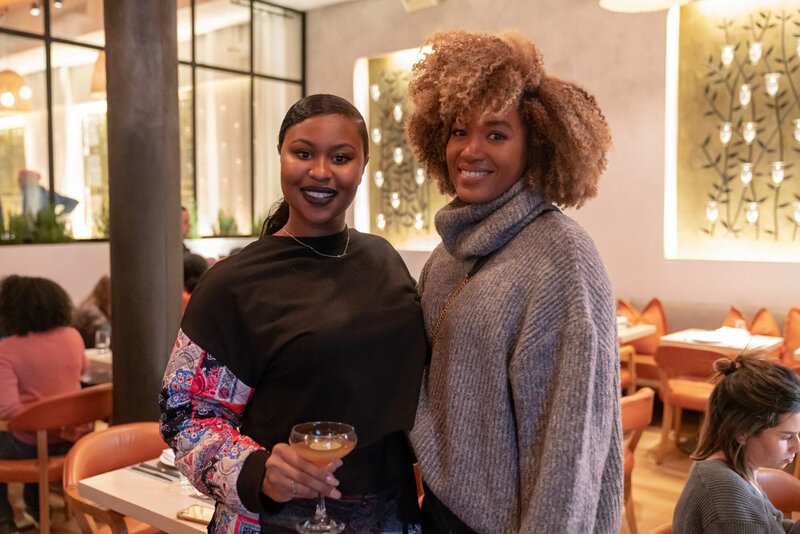 Event producers Brittany Hicks, Jessica Couch, and Ellie Zambrano welcomed a packed house at Fig & Olive in New York for the semi-annual Women of Color FashTech Brunch on Saturday, February 9, 2019. 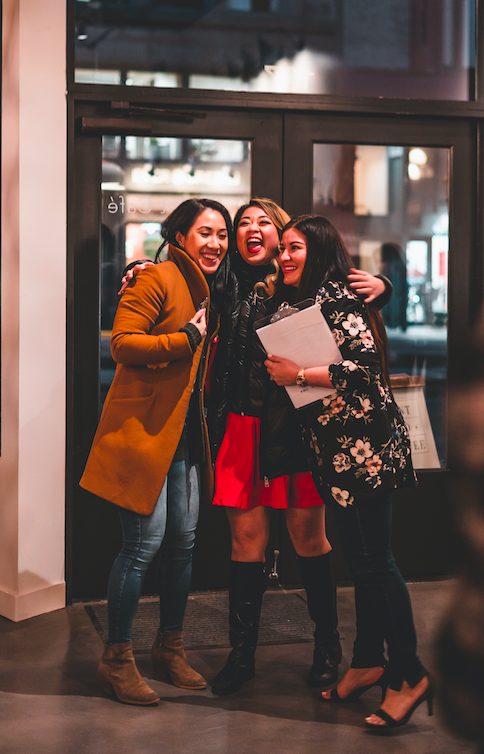 The event was both inspiring and empowering, providing a welcome platform for women working in fashion, tech, and media to discuss a wide range of topics including diversity, inclusion, and the need to create pathways for professional fulfillment and advancement. 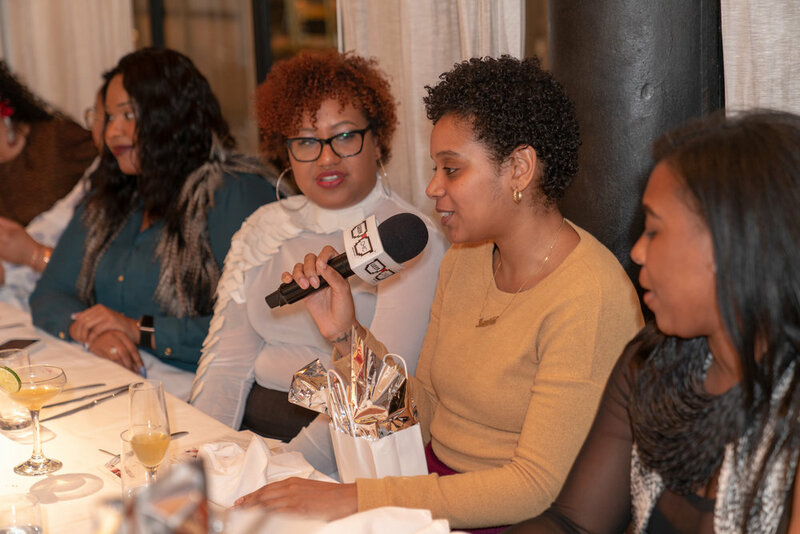 Panelists included Uzunma Udeh, Sr. Finance Analyst of Global Markets at ASOS, Kelly Stickel of the retail consultancy firm Remodista, C-Suite Coach Founder Angelina Darrisaw-Cheeks, and Jessica Couch of Luxor and Finch, who also co-produced the event. The discussion, moderated by Brittany Hicks of Amazon Fashion, covered a variety of topics including the spending power of women of color, the importance of showing up authentically in a corporate office environment, the lack of resources available for women of color to pursue professional development, how industry stakeholders can support inclusion and diversity within their organizations, and how success can be measured in the form of meaningful results. Jessica Couch of Luxor and Finch (pictured above, left) spoke about the need for brands to be more inclusive when it comes to sizing, stating that the non-standard sizing market is a $22 billion dollar industry, leaving a large portion of the business on the table for brands who extend their size ranges and include women of all body shapes in their marketing and advertising campaigns. A focus on inclusive sizing would also reduce e-commerce returns due to fit issues and ultimately help brands make better strides toward sustainability. Kelly Stickel of Remodista discussed the need for companies to embrace diversity and inclusion as more than just buzzwords, truly making an effort to hire and retain diverse talent. It’s also critical that brands give women access to resources that can help them be successful throughout their careers. Angelina Darrisaw-Cheeks of C-Suite Coach (pictured above, right) spoke about the need for companies to make meaningful investments in communities of color. She called for greater transparency, urging women to share the stories of how resources made a difference in their lives so that companies can better understand the need for allocation. She also spoke about the dangers of conformity. “Every time you change who you are to fit in to a room, you’re telling women who are following in your footsteps that they too have to change who they are. You are enough,” she added. Angelina also urged women to ask for the resources they needed for personal development including mentorship, career coaching, business courses, and action plans for career advancement. View Angelina’s Ted Talk on the subject here. Guests of the event enjoyed a 3-course brunch, signature cocktails hosted by Hennessy, swag bags, and strategic networking opportunities before and after the brunch. Companies in attendance at the event included Linked In, Deloitte, Macy’s, Amazon, Harlem Candle Co., J.P. Morgan, Marchesa, and LVMH. 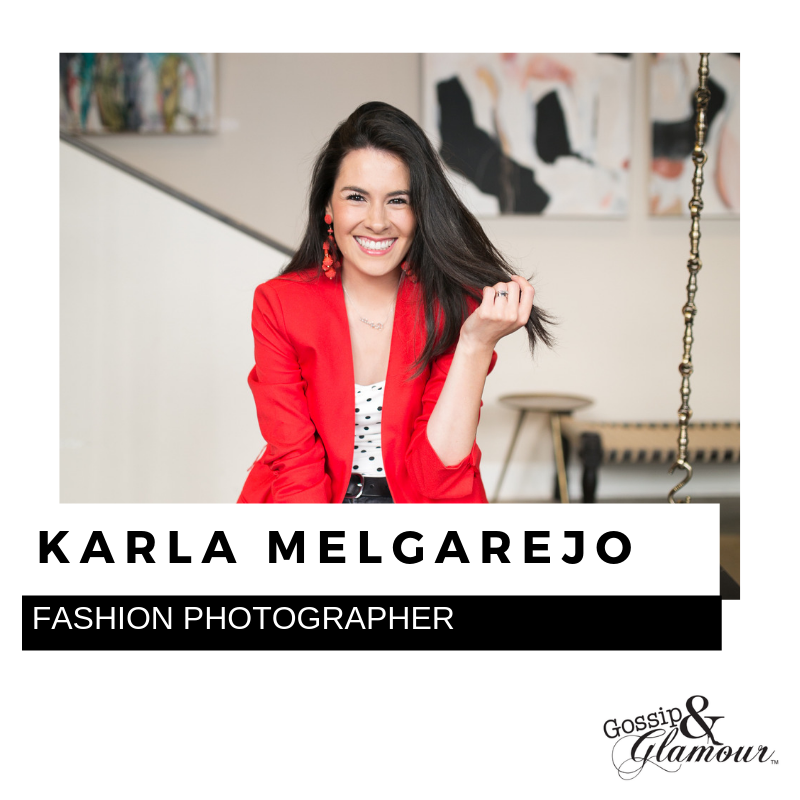 Sponsors of the event included MouthMedia Network, Gossip & Glamour, Brutzkus Gubner, Amazon, Geek of Chic, Girls in Fashion and Technology, and Remodista. 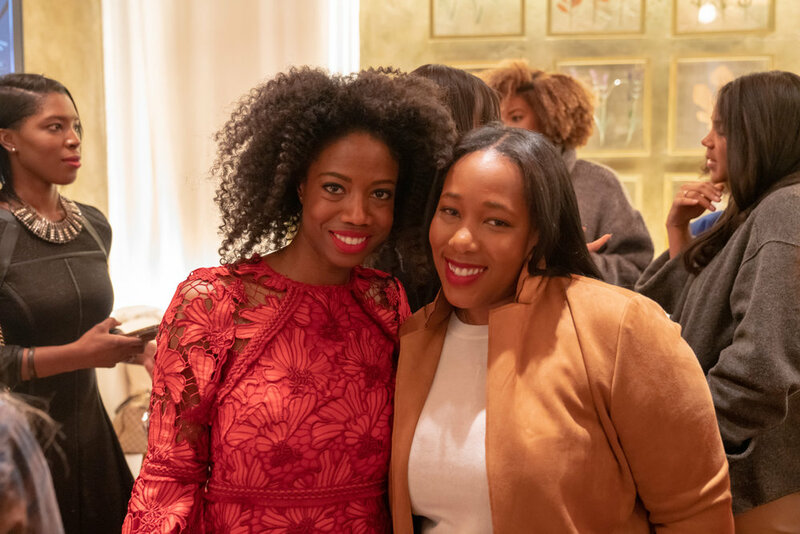 The Women of Color FashTech brunch was an informative and inspirational event, allowing a diverse group of women to come together during New York Fashion Week to connect, share ideas, and build a network of support. 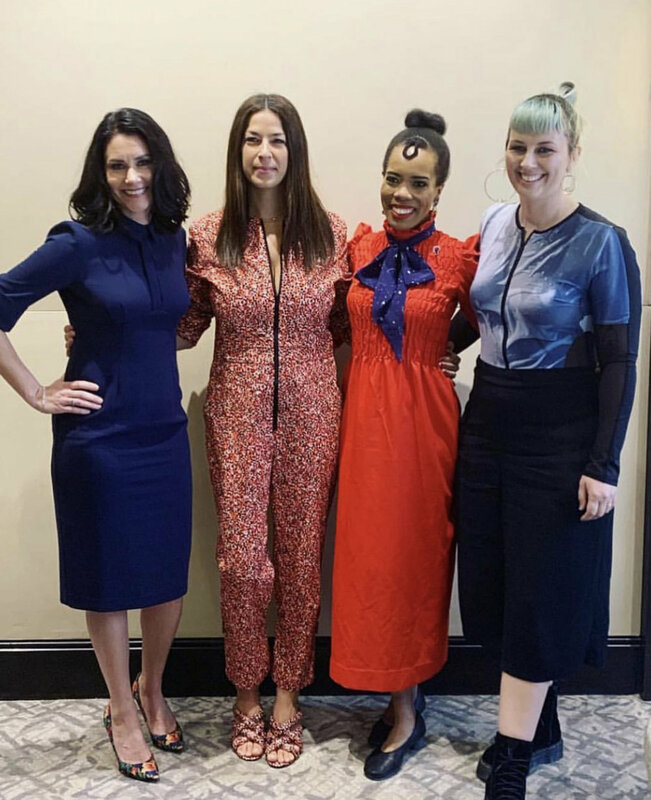 Event producers plan to bring this event to other cities this year including Austin, LA, Seattle, and Washington D.C. A waitlist has already started forming for the next brunch in New York which will take place in September during Fashion Week. In the meantime, check out the Women of FashTech in Austin at SXSW on March 11. More info can be found here. 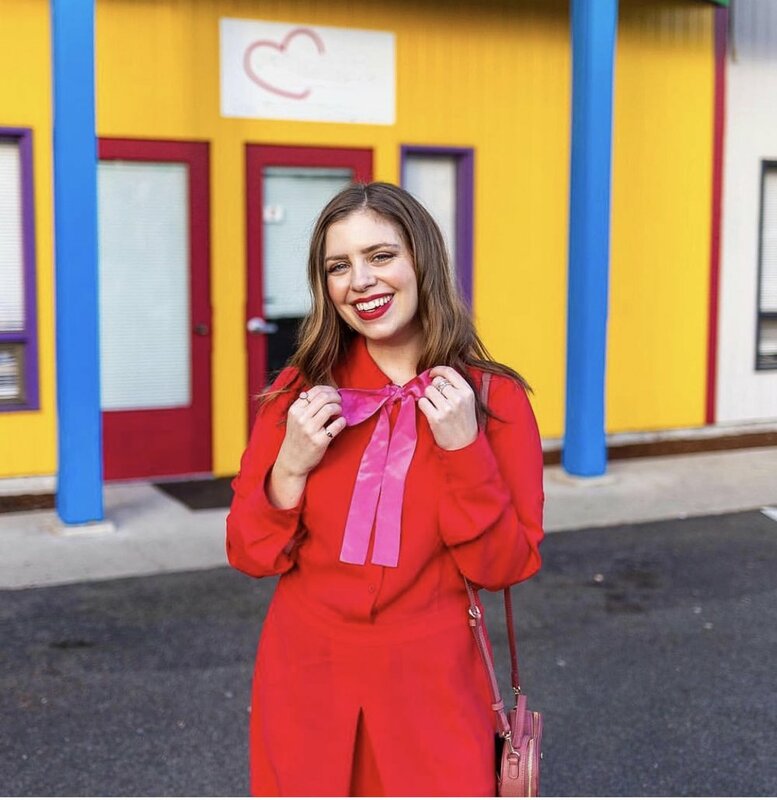 Valentine’s Day is almost here and there are so many stylish ways to shop local! 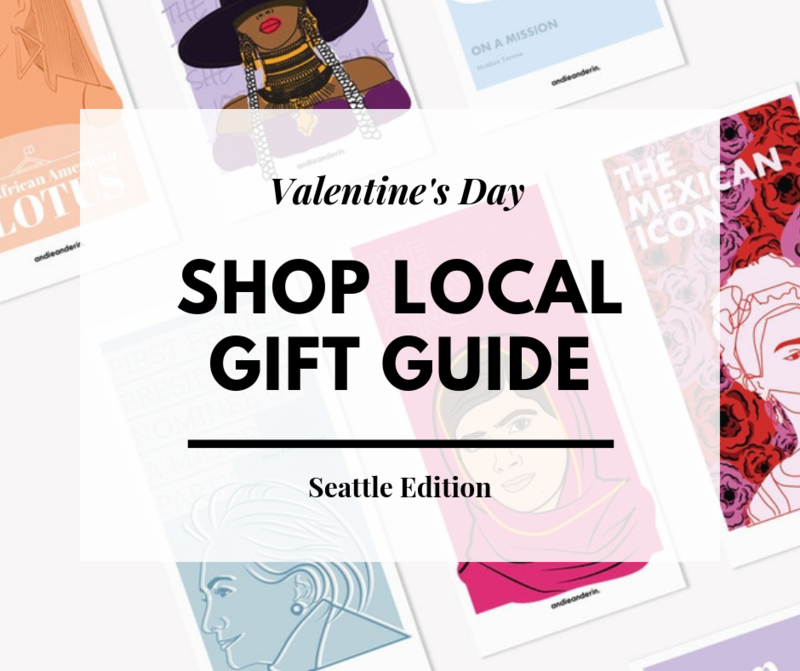 Here’s our round-up of gift ideas for Valentine’s Day, Galentine’s Day, or any other Self-Love holiday you plan to celebrate on February 14th. ENJOY! LAUNCH ALERT // . 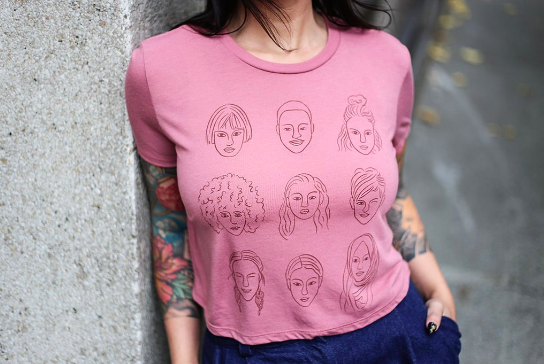 The Every Woman Tee is part of Moorea Seal’s new collection of t-shirts that just launched in-store and online. The t-shirt blanks are made in LA and screen printed right here in Seattle with illustrations by local artist Libby Tipton. 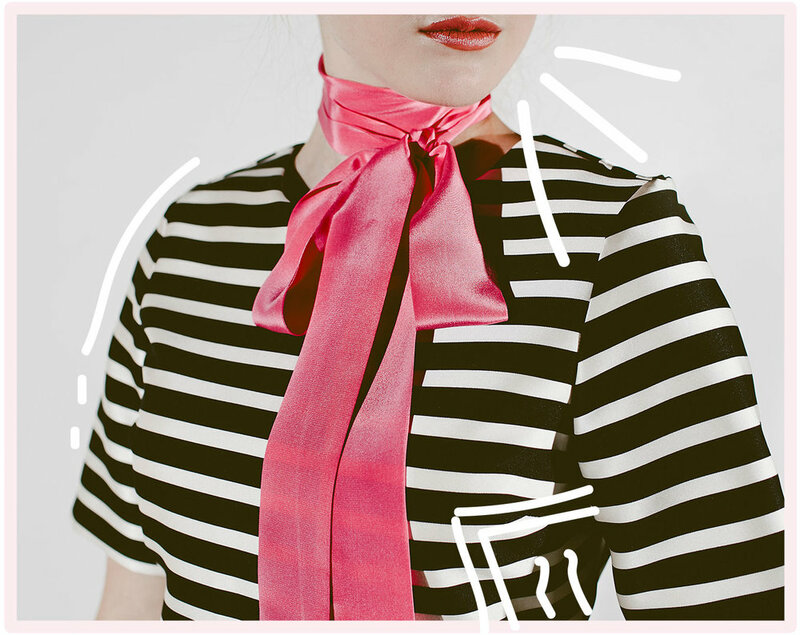 Seattle brand andieanderin designs neckties inspired by influential women both past and present. The “Queen of Media” tie shown above is inspired by Oprah Winfrey and comes with a storyboard that highlights her accomplishments. Get 20% off now through Valentine’s Day plus free gift wrap using promo code NECKTIELOVE. More is more and when it comes to layering jewelry this season and local brand Serpentine Jewelry believes that when it comes to your accessories, there’s always room to add to the stack. The Red Afghan Jade bracelet (pictured above, 3rd down in the stack) is a beautiful token of love. Shop online or at local stockists. 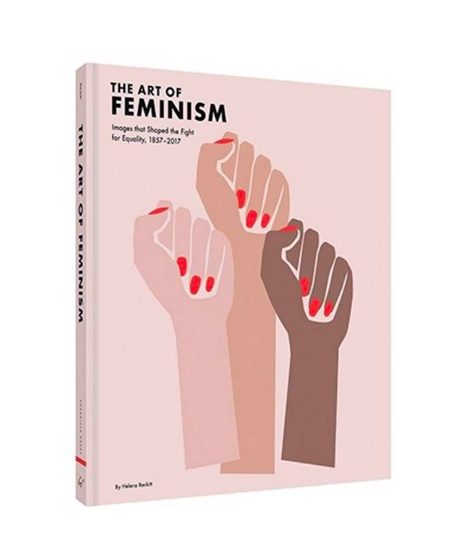 The Art of Feminism book is a comprehensive international survey that traces the way feminists have shaped visual arts and media throughout history, $45. Available locally at flora & henri. Forget roses. Give the gift of effortless beachy waves this Valentine’s Day instead. The Rose Sea Spray from French Girl Organics is handmade right here in Seattle and at $18, it won’t break the bank. 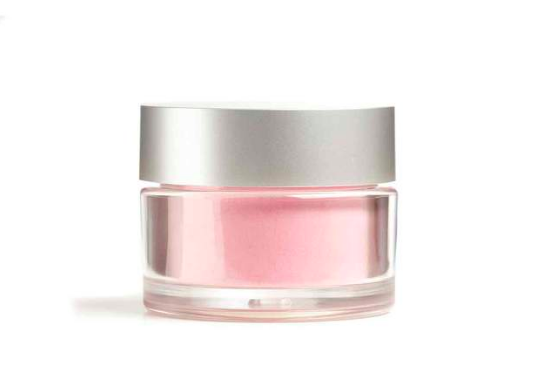 Kari Gran’s sheer mineral blush in Peony (shown above) is a gorgeous Valentine’s Day pick for local beauty fans. It’s flattering on a wide range of skin tones, easy to blend, and is free of talc, fragrance, and parabens.